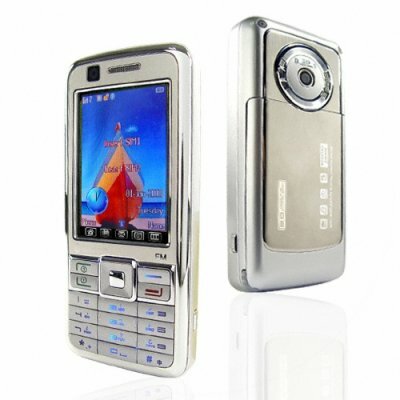 Successfully Added Dual Sim Touchscreen Multimedia Mobile Phone to your Shopping Cart. For the latest in mobile phone gadgetry trust Chinavasion to deliver, this touchscreen equipped multimedia beast is rearing to go. With dual SIM card slots, you can be connected to two different providers at the same time, or have a personal and business number on the same phone, talk about useful. When works all done though this phone really steps into it's own with powerful photo and video capturing abilities, a huge 1GB of removable memory and great MP4 viewing on the 2.6inch TFT LCD screen. The touch screen can recognize English characters to make text messaging and writing to do lists easy. Buy today at a great wholesale price and make a break from the crowd with your very own unlocked phone from Chinavasion. NOTE: This product is compatible with GSM at 900MHz, 1800MHz only, please check with your local provider if you are unsure.